English Breakfast Tea is one of the most popular teas in the world. It has a long history and culture, making it a classic. 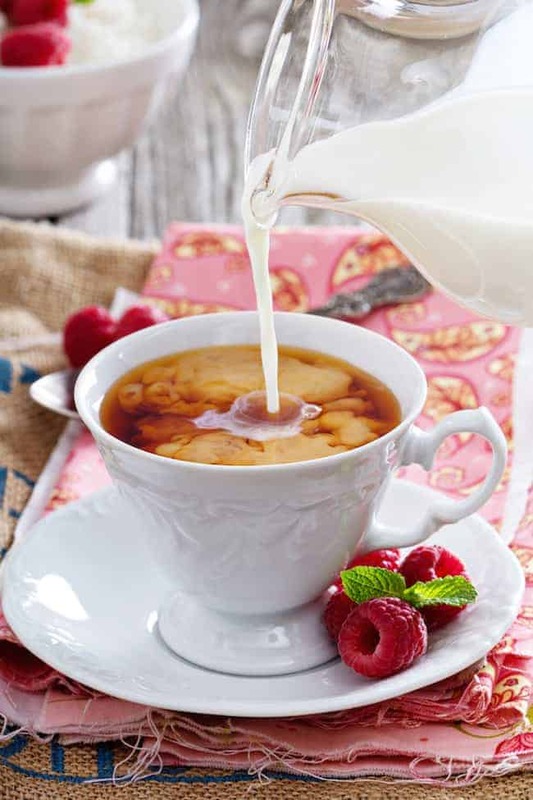 English Breakfast Tea is typically a strong morning black tea blend served with milk and sugar. 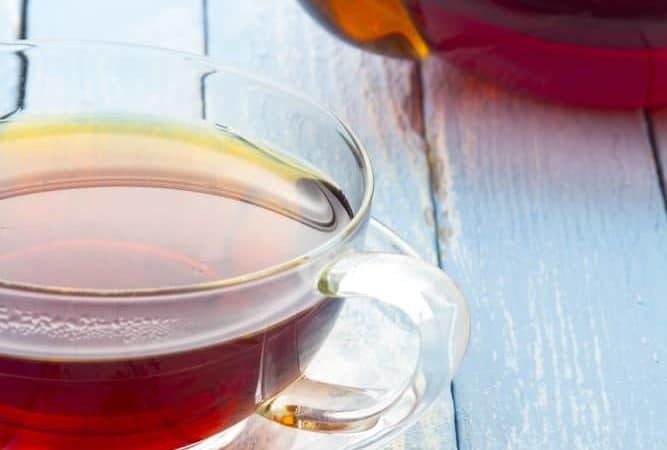 For most people living in the West, black tea remains the preferred choice. And in England, of course, English Breakfast Tea is tea. The blend was created for its rich flavor and copper color that takes the addition of milk well. English Breakfast Tea is a strong tea with a gentle dose of caffeine to get you going in the morning. It pairs well with the hearty cooked breakfast foods typical of an English breakfast. Buying the right blend can make all the difference. Keemun teas from China were not always used although some say it’s the base for a classic blend, they tend to be used more by American blenders. However, blend recipes are always a closely guarded secret. A tea blend is a mixture of teas. They can be teas of different origins or a blend of teas from the same origin, such as Darjeeling, but from various different estates. Commercial blenders create blends so they will taste the same each time. 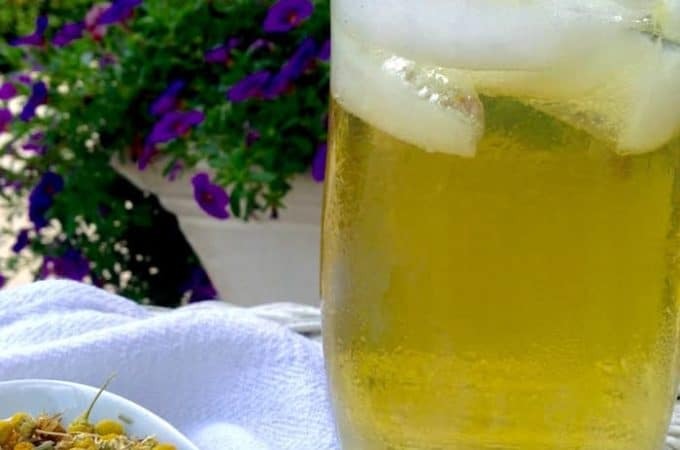 Blended tea is unlike drinking single estate tea, which can vary in flavor and strength from year to year depending on the growing conditions. To create a specific blend and flavor profile; professional tea blenders will taste hundreds of samples of different teas in order to find just the right mix. The ingredients might vary but the end result must be the same. Professional tea blenders make a living tasting, buying and blending tea for large commercial tea companies. Most tasters are trained through an apprenticeship program within the company. Professional tasters become excellent blenders, not just by tasting 36 teas in a row, every day, but by cultivating the ability to recognize thousands of flavors and fine notes within each tea. Their training encompasses all aspects of tea, from learning about how tea is grown, to how it’s cultivated and produced. Some professional tea tasters are so valuable they even have their million-dollar taste buds insured. In general, black tea is known for its brisk flavor. Black tea has a fruity sweetness with a slight astringency at the end and is often richer than other tea types. But there are many variations to this profile, where some black teas have secondary notes of roasted nuts or chocolate. All of these subtleties are taken into account when creating the perfect English Breakfast Tea blend. Sri Lanka: Ceylon is a former British colony that changed its name to Sri Lanka in 1972 after it became an independent republic. Sri Lankan growers favor whole-leaf black tea producing a well-balanced tea with citrus or nutty high notes mellowed by a gentle warmth that avoids astringency. Most of their teas brew a brisk and golden colored cup with a moderate body, but each estate has its own characteristics. Assam: Assam is India’s most famous tea growing region after Darjeeling. It’s a low grown tea producing a bold and brisk cup of tea. Assam teas are from the large leaf Camellia sinensis var assamica and are often robust. They are well known for their warm malty smoothness. Keemun: China is famous for its green tea but they also produce excellent black tea. 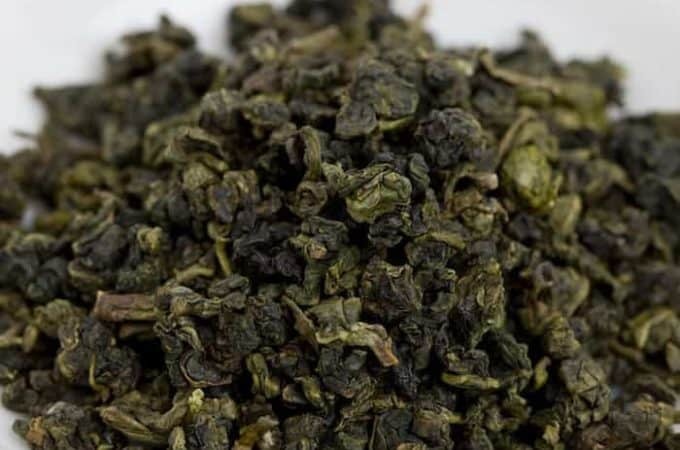 One of China’s more popular black teas is Keemun from the Anhui province of China. 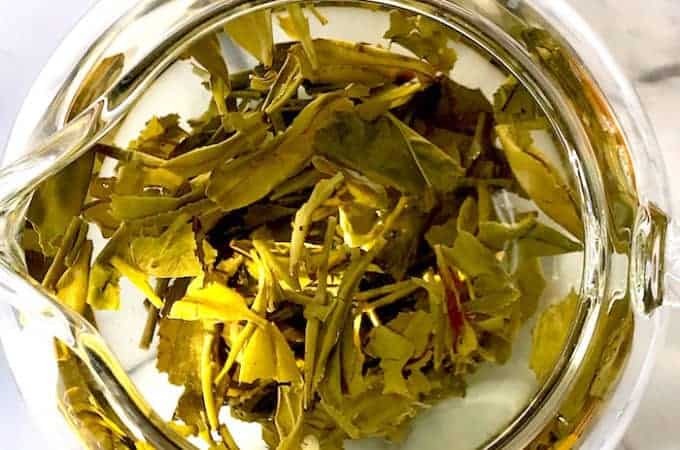 Keemun is prized for its rich, slightly smoky flavor and mild astringency. It has a rich malt and dark cocoa character producing a dark, bold and smooth cup. Kenya: Kenya has commercially produced tea since the 1920’s. Black tea from Kenya is famous for its brightness, attractive color, and brisk flavor. Kenyan tea is manufactured using the CTC method. CTC is a mechanical method of production that stands for Crush-Tear-Curl. This provides a much more intensely flavored cup than the more delicate whole-leaf teas. CTC tea is typically found in tea bags. Kenyan tea is selected for its strength and depth of flavor and color. A small percentage of Kenyan tea is produced by the traditional orthodox method for loose leaf tea. Sometimes an English Breakfast Tea blend can be overly bitter, tannic and bland. All the more reason to drown it with loads of lemon, milk, or honey to make it taste like something it’s not. But not all English Breakfast Teas are like that. There are many fabulously great blends that stand right next to (or above) quality coffee. A top-notch black tea blend is worthy of brewing. The trick is to buy the right leaves and brew them with care. You can read Brewing Tea: The Ultimate Guide for more information. Many excellent boutique tea houses only specialize in orthodox tea and single estate teas and do not offer blends. So you have to look for a vendor that also specializes in premium tea blends when buying English Breakfast Tea. Here are some of my favorite places to buy English Breakfast Tea. They all offer high-quality teas and blends from China, Sri Lanka, India, and Kenya. Adagio has a very fine English Breakfast Tea. Made from black Keemun tea it has a balanced and honeyed aroma. If you prefer the maltiness of Assam, you might want to try their Irish Breakfast Tea which is a blend of hearty black teas from Ceylon (Sri Lanka) and Assam (India). The breakfast tea is an unblended Assam tea from broken leaf tea. Their Irish Breakfast Tea is a blend of Assam and Kenyan teas. The English Breakfast Tea is a blend of two black teas from Ceylon (Sri Lanka) and Assam producing a full-bodied tea. World famous teas continue to use the colonial name of Ceylon when referring to their tea. Offers an English Breakfast Tea blended with black tea from the Yunnan Province of China and Assam producing a mild and invigorating, mellow and spicy cup. Offers an English Breakfast Tea combining four full leaf black tea leaves from three countries – India, Sri Lanka, and China. I personally really love The Tea Spot’s English Breakfast Tea. It has a beautiful aftertaste, almost chocolate like. A quintessentially British tea company that’s been around for 300 years. You can purchase in loose form but keep in mind the blended tea is made from cut leaf and are not full leaf teas. Their English Breakfast Tea is a blend of Assam, Ceylon, and Kenyan tea. It brews a bright and full bodied tea. Their English Breakfast Tea is a rich combination of strong, full-bodied and robust teas handpicked from the finest estates of Assam. It produces a rich, full-bodied cup with hints of chocolate and caramel. Do you have a favorite breakfast tea? Share in the comments below. I am a novice in the tea arena. I very much appreciate reading your recommendations and lessons. I am interested in tea from a health perspective..
Kim, Thank you for that. This is exactly why I started the blog! 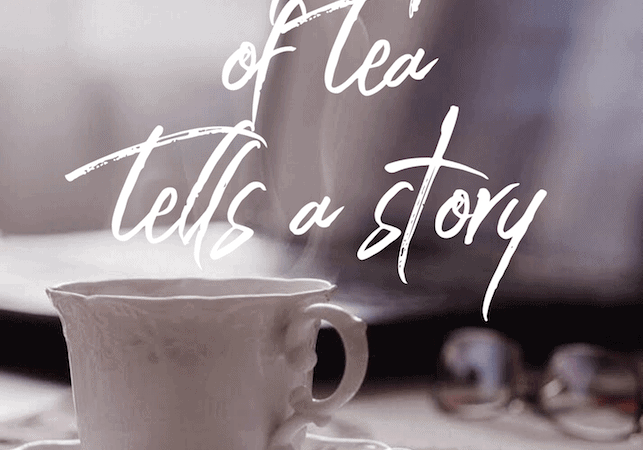 To help people new to tea learn more about it – and there’s so much to learn. Tea is an amazing beverage. My favorite breakfast tea is Lapsang Souchong. This is my year around tea. I have enjoyed Lapsang Souchong since I was a teenager. Great choice! Thank you for visiting the blog. I have never been able to drink English Breakfast tea without milk, it is just to strong. Mixing green tea with black tea can provide the solution. One suggestion is to mix an equal quantity of English Breakfast with Earl Grey (tones down the Bergamot) and add 20% green tea (a Jasmine blossom green tea would be ideal). For me, this makes it drinkable without milk and you can enjoy the different flavours. Delicious! I believe English Breakfast tea was designed to be made with the addition of milk – hence it’s strength. I love your blending idea. I wonder how the Jasmine blossom would be with the Earl Grey – it sounds like a winning combination. Thanks for stopping by and sharing. I love Twinings English Breakfast, but I don’t get the ‘stong’ descriptor that everyone gives it. for tea when I don’t want a flavored. Scottish Breakfast tea is my absolute favorite. I drink it year-round with plenty of cream and sugar. I love the malty taste of it. Yes, that’s definitely a great tea. It’s the keemun that gives it the maltiness.